Yerkhova receives an increased pension for serving as a home front worker during World War II, grows and sells flowers and takes sewing orders. Every month she sets apart $155 and once a year travels in search of adventure. Russian grandmother Yelena Yerkhova is rather unusual – she devotes her time to traveling the world alone, discovering new countries and cultures. Now 89, she recently returned from Vietnam and Israel and is already planning a new trip for her 90th birthday. "I've started living for real only now," smiles the 89-year-old grandmother from Krasnoyarsk, Siberia (2,000 miles east of Moscow). Setting apart 10,000 rubles ($155) from her monthly pension, Yelena Yerkhova travels alone around the world and amazes everyone she meets with her agility. Why is she traveling only now? In her youth Yerkhova did not travel much – she did not have time. When she was just 15 Germany invaded the Soviet Union. The young collective farmer went to work in the home front services. Then came time to rebuild the destroyed country. Shortly afterwards the Iron Curtain fell and most Soviet citizens could only hope of traveling to capitalist countries. In these years Yerkhova saw only the various parts of the USSR: St. Petersburg, Lithuania, Kazakhstan. 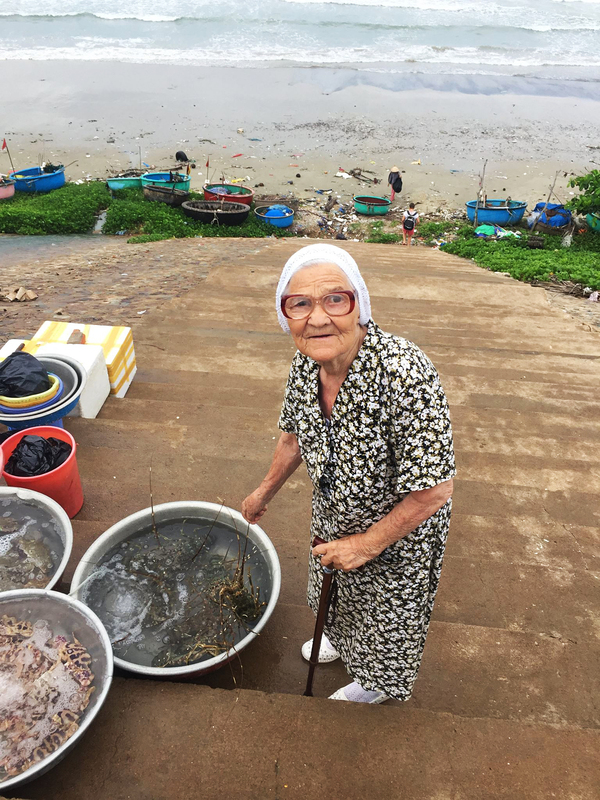 She started traveling beyond the former Communist bloc countries only when she was 83. Her pension and her free time would have let her travel earlier, but she decided only six years ago. The grandmother travels the old-fashioned way, without a mobile phone, but with a camera and a backpack. Out of all the means of transportation she prefers the airplane. "At first it was frightening since I had never flown before," she remembers. "Now I've gotten used to it. I even like it. Not afraid at all." Grandma Lena, as Yerkhova prefers to call herself, mostly travels to the Czech Republic. She has been to Karlovy Vary five times already. "I can orient myself there better than in Krasnoyarsk now," she laughs. "Here I only go from my home to the store. But in Vary there are so many interesting things." Once Grandma Lena was improving her health at the Czech resort and met some Russian immigrants from Germany. They invited her to visit them and on the following occasion she flew to visit them in Germany. What she liked most in that unfamiliar country were the shops and a rich selection of products. This is not surprising since Yerkhova had lived through the war, hunger, the "ration cards" system of the postwar years and the eternal Soviet shortage of goods. The sprightly old lady is welcomed warmly not only in Germany. In other countries immigrants and tourists have also taken notice of Yerkhova, helping her in many ways – taking her around to see the monuments, offering her food and drink and showing her the environs. It was after one of those encounters that Yerkhova became a Russian celebrity. A woman from Moscow called Yekaterina Papina was vacationing in Vietnam and met Yerkhova during breakfast at a hotel. The tourists began speaking and Papina's impressions helped the elderly lady get the best out of her vacation. Grandma Lena rode a moped, drank cocktails and tasted the local delicacies. When she returned to Russia she found herself in the epicenter of popularity after Papina wrote about her on her Facebook page and her post was reposted almost 15,000 times in two weeks. Now Yerkhova is besieged by journalists knocking at her door and calling her non-stop. But Grandma Lena is not perturbed: "I'm happy that they made me famous throughout the country," she says. Yerkhova now has an Instagram and Facebook account. However, she does not manage them by herself – journalists and her grandson help her. Tour operators are offering the media star cheap travels and Sberbank promises to give her the Active Age debit card, as well as a trip to anywhere in the world. Grandma Lena has recently been to Israel, where she took a swim and rode a camel. For her 90th birthday she wants to go to Italy or the Dominican Republic. "That's where real paradise is, from what I've heard," she says.